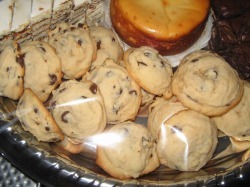 All cookies are $5.00 per dozen, unless otherwise stated. 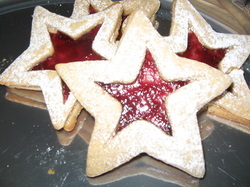 Linzer Star Cookies, shown here with Raspberry jam. 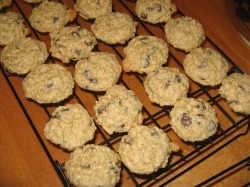 Delicious, chewy oatmeal cookies with either raisins or chocolate chips (shown here). 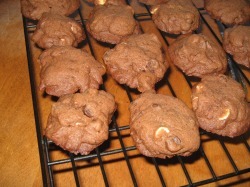 Chocolate cookies with regular and white chocolate chips. 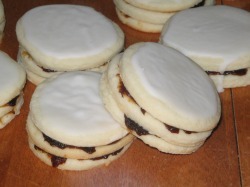 Lovely, moist little vinarterta cookies. Cakes with prune fillling and an almond icing. My most popular cookie, Amma's Chocolate Chip cookies are moist and delicious, perfect with a glass of milk! !